Grilled Chipotle and Cilantro Burgers – Great for Spring! It’s grillin time!!!! Spring is here and there is evidence everywhere; daffodils in bloom, trees are budding and the weather temps are climbing. Time to dust off the ole barbecue and cook in the fresh outdoors. March in Utah still can give us a snow shower or two (or three), so eating outside is a no-go most of the time, but who says we can’t put on a hoodie and cook outside? This is an easy flavorful, spicy and moist cilantro burger recipe that’s perfect for early spring. Just a few simple ingredients to make this a mouthwatering and delicious moist burger. This recipe is as simple as it gets. 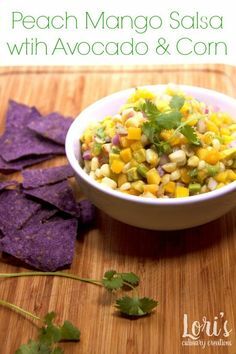 Topped with a delicious avocado salsa, this would be great for a weeknight meal or a weekend party. So easy… Mix up the cilantro and the chipotle with the beef forming into three firm patties. Cook on a heated outdoor grill 5-7 minutes per side on medium heat. My hubby gave them a quick sear on a higher heat first, then turned it down to medium and cooked them. This sealed in the juices for extra fresh flavor. We had the cilantro burger on a whole wheat sandwich thin with avocado salsa and veggie chips. Check out the fresh cilantro inside the burger. Use as much or as little as you want. I did not chop the cilantro because I wanted “Big Flavor” in each bite. Hubby isn’t too fond of super spicy food so I kept my chipotle at the 2 tablespoons (I would have added an extra if I was just cooking for me). This recipe was featured on Nap-Time Creations Sandwiches That Will Knock Your Socks Off Sandwich Round Up. Click over and check out all the scrumptious recipes! This looks great! I’m sure the chili pepper in adobo sauce adds a wonderful flavor as well. Thanks for sharing. Stopping by from Sumos Sweet Stuff 🙂 Have a great week! I just love the combination of herbs and spices in this hamburger! Cilantro is one of my favorite herbs! I just love it. Although I would like it just a little bit warmer outside, I may have to break the grill out earlier! Thank you for linking this great recipe up to the In and Out of the Kitchen Link Party! I look forward to seeing what you bring to the party next week! I’d put cilantro in just about anything. Love this flavor! Thank you for sharing this at Memories by the Mile Link Party. I just pinned it and I’m now following you all the ways. This sounds and looks delicious. Check back Thursday for the features. Can’t wait to see what you share next week at Tuesday Trivia. I’m all over MyRecipeMagic. I have my little chef hat on the upper right side of the blog. That site is awesome! You had me at “cilantro!” Yum! Thanks for linking up with the Clever Chicks this week! Nice burger recipe… glad your feeling the urge to get outside to cook. It hasn’t struck me yet and it is probably warmer here in NY. Thanks for stopping by foodie friday. Outdoor cooking is the best! This sounds mouthwatering. I love fresh cilantro and adding it to a grilled burger would be awesome. Found you at Inspire Me Monday. This sounds deliciously amazing! Yum! Thank you so much for sharing these – they look DELICIOUS! I THINK we just hit Spring here in Toronto too so it’s definitely looking like burger weather! 🙂 Pinning now! This sounds like an interesting flavor combination. I love these flavors – chipotle and cilantro and of course avocado – so good!Thanks so much for sharing this at the Friday Frenzy! Thanks so much for sharing this recipe at Saturday Dishes! 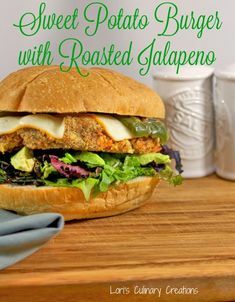 My husband is a huge fan of everything about this recipe: cilantro, peppers, burgers and grilling, so I can’t wait to give it a try! 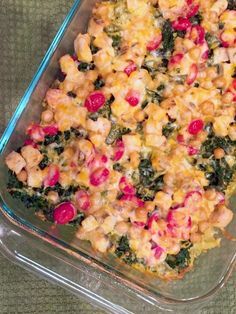 I’m pinning your recipe and also featuring it in a roundup of recipes tomorrow morning! Thanks!